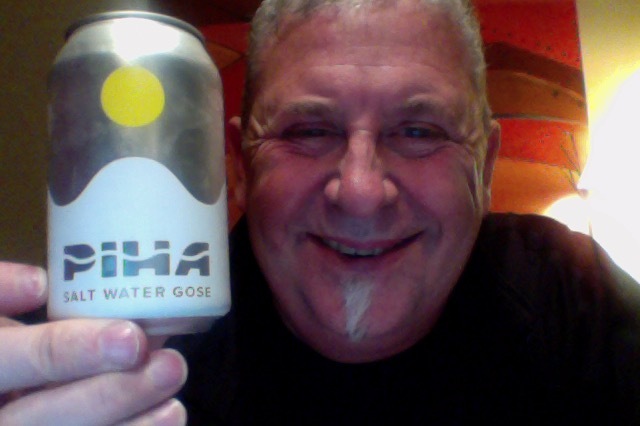 Piha Beer – Salt Water Gose. This was a swap/gift from a twitter chap, Keith,who also makes a nice line in scented candles. but because he’d brought the all of the cans and left none for anyone took pity on me, so brilliant, I’ve got a couple of cans to try, having tried and failed. Plus you all know how much I like a Gose :-). Craft beer in a 330ml cans that is 4.7% ABV and 141 calories a serve size, this can is 1.2 standard drinks of a beer in NZ. Tart, refreshing and just a little salty, like licking your lips after your first mean bomb off the rocks. Gose, the new black, the thinking mans sour beer perhaps, they’ve become quite common, might of course be easier than cultivating your own brett strain to add salt water to achieve much the same, said the man with no experience in these things. Aroma to me is more like a pear than anything, then it’s vague metallic too. Pour is very light pale yellow with a small film head. Aroma still has that pear note, which is very intriguing. The taste is lightweight but really consistent, low tartness, low bitterness, sweet enough, perhaps over sweet really, and quite cautious. I can see why this would appeal but it really isn’t setting any benchmark in the style. The pdubyah-o-meter rates this as 6 of its things from the thing. It’s not a lot more than average, and it’s not going to set the world alight. It could be quite a good entry lever beer into the style but that’s not really the start point you need, Lacks any real flavour of any real thing, lacks real tartness, and sourness perhaps and it is just too safe. Where did I get it? I got it as a gift! I love gifts. Thanks Keith. Am I enjoying it? I am, because it was a gift, however it’s not brilliant. Would I have another? I have two, so I am having one more. Would I share with a friend on a porch and set the world to rights? No not as a stand out beer, yes if they’d never had one and were being a bit snobbish about beers. This is Shoegaze, a genre that is is having a bit of a resurgence after fading away a bit. Ride are a British rock band that formed in 1988 in Oxford, England, consisting of Andy Bell, Mark Gardener, Laurence “Loz” Colbert, and Steve Queralt. 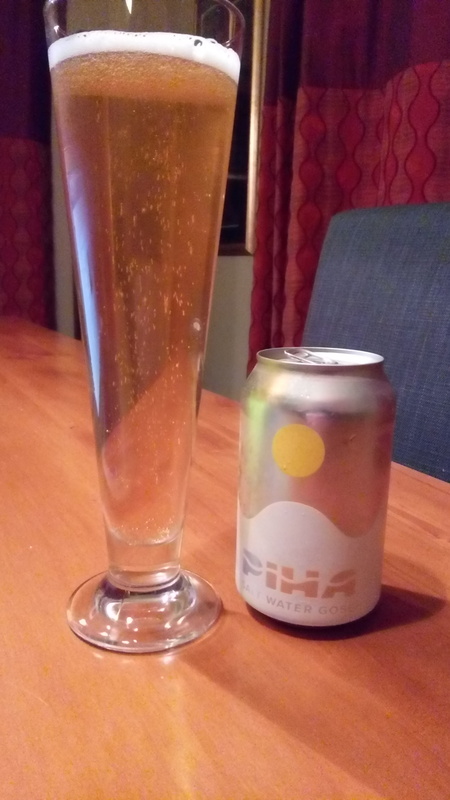 This entry was posted on June 16, 2017 by Philip Walter in Beer, Beer of New Zealand, Beer Review, Brewed By, Craft Beer, Critic, Grodziskie/Gose/Lichtenhainer, Piha Beer and tagged Boneface The Juice Dry Hopped Gose, Canned Craft Beer, Piha Beer, Piha Beer - Salt Water Gose, Piha BeerSalt Water Gose.